A coach will help you define your vision for wellness and then use that vision to co-create a completely personalized action plan based on your goals and aligned with your values. Your personalized program will prioritize your health and wellness, enhance your well-being, and move you toward where you want to be. We all have had them: the teachers that change our lives. The ones we remember long after the experience has passed. They leave an imprint on our lives and our spirits. It is with my deepest gratitude that I share the lessons I have learned from some of my most important teachers. We are becoming more and more overstressed as a society as the pressures of our modern life keep mounting. 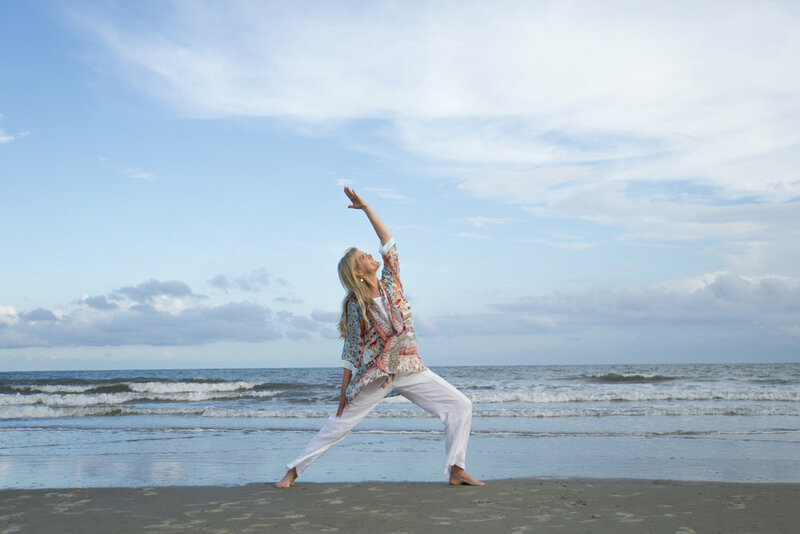 How can yoga help balance your body’s stress response and help you find serenity? Sequencing a practice can stop many from practicing at home. Knowing how to sequence can help relieve stress associated with developing a home practice. A good friend recently lost her mother to a sudden and massive heart attack. While working her way through the stages of grief: denial, anger, bargaining, depression, and acceptance, she told me she felt like her body was “weighed down with stones.” Physical symptoms like this can occur at any time in the grief process. It’s scary, but natural. If you are going through the loss of a loved one, a job, a pet, or an emotional life change, here are some symptoms to look for, and some tools to help you heal. Life happens. An opportunity may fall through, or grief and tragedy strikes when you least expect it. When your direction shifts, it’s easy to feel lost. What can you do when you feel like you’re foundering? Here are three steps to help you work through your feelings and find your way back to yourself. Being continuously stressed caused me to develop a pattern of shallow breathing, which exacerbated my stress levels even further. Through my yoga practice, I was able to become aware of my altered breathing patterns and relearn how to breathe deeply and easefully. Many emotions erupted as I sat in my office, confused and wondering. What just happened? Who was the person that wrote such an on-point, heartfelt account of her journey of healing? And more importantly, where was she now? We can all use a 5 minute reboot to reset the day and our positivity index! This 5 minute breathing practice will help you get connected to yourself and to your heart creating more spaciousness and allowing a release of stress and tension in your body and mind. Take a 5 minute break in the morning upon awakening, during the day when you feel disconnected, stressed, or in the need of a “reboot”, or at night before bed. Once upon a time, humans needed the energy generated by stress to survive. We were hunting, farming, or fighting the elements. The body’s stress response would switch to “on” and provide a spike of “fight or flight” cortisol and adrenaline to complete the task at hand. This Sun Salutation series builds strength and flexibility. A single round consists of two complete sequences – one for each side (right and left). Something magical happens at a yoga retreat when a group of high intentioned individuals makes the decision to gather together in a breathtaking natural environment for the purpose of elevating their lives. Take a moment to draw your awareness to your breath. Is it deep or shallow? Fast or slow? Our life is entirely dependent on breathing, but we rarely give it much thought. You hear it all the time. Maybe it’s from a friend, a family member, or a coworker; or maybe it’s from your spouse. They proclaim that their lives have been changed for the better due to their yoga practice. Yoga can be overwhelming for beginners. There is so much to remember and put together that confusion can set in. It’s easy to get discouraged and quit. Over the years I have seen it happen more than a few times. After returning home from a jam-packed trip with my two teenage girls, I found myself weary and tired. I have to admit that I have never been a world-class traveler. Being sensitive has its downside, and post travel fatigue is one of them. One of the greatest joys in life is the adventure of traveling. However, travel can present challenges when it becomes stressful. TSA lines and Coach class, anyone? I was teaching a yoga class the other day, and the topic was embodiment. We talked about the foundational components of a yogic lifestyle, the eight limbs of yoga and about finding our path. If you have been thinking about beginning a yoga practice but feel uncomfortable going to a group class or don’t know where to start with a home practice, this yoga for beginners blog is for you!